How Much Honey Equals 3/4 Cup Brown Sugar? 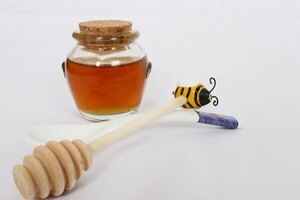 Honey, a naturally sweet, viscous liquid, makes an excellent substitute for sugar and brown sugar in almost any recipe. Cooking with honey, however, may require some adjustments to keep the recipe as delicious as the chef intends. Brown sugar can be replaced by honey equally by up to 1 cup in a recipe. If more than 1 cup of brown sugar is required, you may need to add only 2/3 to 3/4 per cup of sugar (i.e. if the recipe calls for 2 cups of brown sugar, use only 1 3/4 cups of honey). Honey contains more fructose than sugar or brown sugar, and has a much higher water content, which means the end product could be a bit sweeter and more moist when using honey. 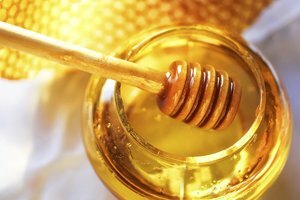 Reducing the amount of other liquids by 1/4 cup for every 1 cup of honey can help keep balance in the recipe. Foods made with honey will brown quicker, so lower the cooking temperature by 25 degrees or so to avoid burning. 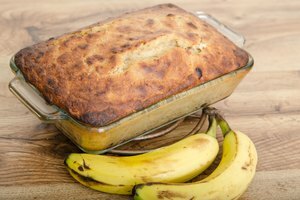 For baked goods, add 1/4 tsp. of baking soda per cup of honey to reduce acidity and decrease the food's density. Liz Strader has been a professional writer since 2000, with credits that include business blogs for social media sites, and Web content and resume-writing for Clear Choice Resumes. She holds a Bachelor of Arts in philosophy from Augustana College and completed the National Resume Writers certification in 2010.